Addiction and drug abuse are on the rise, and substance abuse of marijuana, prescription medications and alcohol are possible factors that could diminish the chances of students reaching their full potential. Despite the efforts of anti-drug programs, such as D.A.R.E. (Drug Abuse Resistance Education) to educate children and the public on substance abuse, the U.S. Department of Health and Human Services reports that marijuana and painkiller use is on the rise in major cities in Texas. As socially acceptable as alcohol is, it is commonly abused by young adults through binge drinking and combining alcohol with other substances, such as energy drinks or prescription medications. Positive blood alcohol levels can still show up the next day after a night of binge drinking, affecting a student’s ability to get to class on time, process and store information or even show up at all. Marijuana abuse also has negative effects, resulting in a lack of motivation to achieve daily activities. Alcohol consumption has longer-lasting effects on learning ability, memory and sleep cycle. Binge drinking one evening could lead to irritability, anxiety and fatigue the following days, which may cause students to attempt to counter the effects with energy drinks. 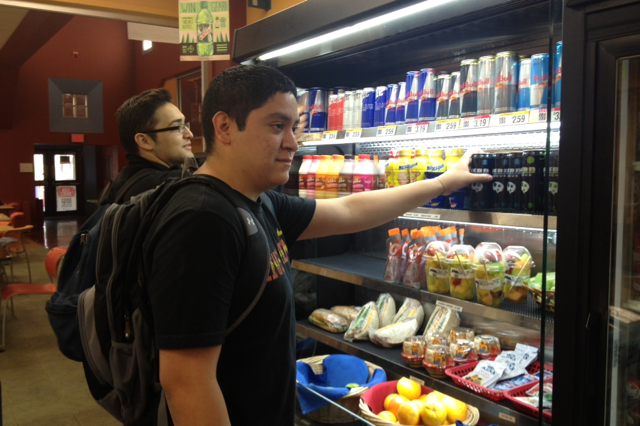 Students have also been known to combine energy drinks with different substances, which can be counter-productive and dangerous. In an article on livescience.com, the Food and Drug Administration linked alcohol and energy drinks to students having impaired cognition and even miscarriages. The Georgetown Undergraduate Journal of Health Sciences, a student health study web site, recognizes that the abuse of alcohol can easily lead to the use of other substances, such as over-the-counter medications. Prescribed medications, such as ADHD (attention deficit hyperactivity disorder) and ADD (attention deficit disorder) medicines, like Ritalin and Adderall, commonly referred to as study buddies, have also been known to circulate campuses. These drugs increase dopamine levels and are used by students to help them focus when preparing for exams, but many students are unaware of the long-term side effects they may contain. “ They may be talking out loud, hallucinating, or foaming from the mouth,” said Corporal Maria Salazar, Palo Alto College campus coordinator. No matter what it’s used for, combining any type of drugs and using an excessive amount of anything can be dangerous to your mental and physical health, resulting in failure to function in college or at work, which can negatively affect your entire life. To learn more about the effects of substance abuse and stay updated on campus alerts, you can visit the Alamo District Police web page, collegedrinkingrevention.gov and drugabuse.gov.